Fair. Personal inscription on first page, slight water damage / stains top top outer corners **SHIPPED FROM UK** We believe you will be completely satisfied with our quick and reliable service. All orders are dispatched as swiftly as possible! Buy with confidence! 1996, Plaza & Janes Editores, S.A.
One of the best of King's efforts in the Horror genre. Creepy clown hijinks, dead children, all the stuff that gives us nightmares. Very Fun book if you are new to King and his uncomfortable experiences. 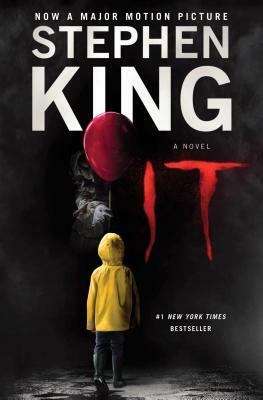 IT is one of Stephen kings scariest books. It might be a little lengthy, but it is definitely worth it. I lost some sleep for 2 reasons. 1:It was incredibley scary and frightening. 2.It was so good, I didn't want to stop reading until I finished it! I highly recommend it. Although this book is truly immense in size, it's utterly worth carrying around such a brick. It's truly scary in a way that very few writers can achieve and it plays on all kinds of fears. Unfortunately, the film version ruined the ending so a lot of people have low expectations from it, but this book is really a great feat of modern literature.